March 2011 - That's My Family! Today, I feel like I’ve been socked in the gut. Utah’s law is modeled after Part 8 of the Uniform Parentage Act of 2002. A gestational surrogacy agreement must be validated in court. The gestational surrogate must have had at least one prior pregnancy and delivery. She maintains control over all health-related decisions during the pregnancy. She may not use her own eggs. The intended mother must show that she is unable to carry a pregnancy or give birth. At least one intended parent must provide gametes. If the gestational surrogate is married, her husband’s sperm may not be used. The intended parents must be married and must undergo a home study. All parties must be at least 21 and must participate in counseling. There is a residence requirement of at least 90 days for either the gestational mother or the intended parents. The gestational surrogate may not be receiving Medicaid or other state assistance at the time she enters the agreement. Payment to the gestational surrogate is allowed but must be “reasonable.” An agreement that has not been validated is not enforceable, and parentage will be determined under the other parts of Utah’s Uniform Parentage Act. According to Utah law the couple I carry a baby for MUST be legal married in the eyes of the state of Utah. Therefore, they must also be a heterosexual (straight) couple. I would like you to also notice this law was written in 2007!!!! Only 4 years ago. I feel like Utah is SO stuck in the 1950’s. Since when do people have to be married / heterosexual to have a family? Not that my only dream was to carry a baby for a gay couple. But it is DEFINITELY part of my dream. Just not all of my dream. So, I will be matched with a married, straight couple, and that is MORE than okay with me. I am not set on carrying a child for one certain type of family. I am open to all of them. I just cant wait to meet them. No matter who they are, what they believe in, or where they’re from. BUT .. I am a little upset that my state pushes such archaic rules on me. Are you still there? I look at my phone to make sure it’s still counting minutes. “I’m here” he says, I can tell he’s crying. “OH MY GOSH!! you’re gay!! You’re gay, aren’t you?? ?” my fear/sadness turns quickly. I asked him excitedly. “your kidding, right?” I laugh at him. could always be my love. We have such a different love. He’s so happy now. Everything my heart has always wanted for him. He has. I hung up the phone that day after we had a few good laughs and immediately thought. He needs a family. Immediately. It was the first thought that crossed my mind. That wasn’t the first time the thought of surrogacy crossed my mind, but it wouldn’t be the last. What better gift could I share with someone? If someone needed help moving, if someone needed help watching their kids so they could run an errand. I’d be there. I’d help. So why wouldn’t I help if someone needed help bringing their child into the world? I am able. I would never say no. My heart needs this. My heart needs to help a family have their child. I’ve never wanted anything more in my life. Is he the reason? No, not entirely. But I think about him a lot on this journey. I think about a lot of my friends. Friends that have struggled. I see their pain but will never know the feeling. I think about “my IP’s” A LOT. (IP is surrogacy talk for “Intended Parents.” In other words, the parents of the child I will be carrying. You’ll see that a lot here, SOON!) I think about my IP’s Multiple times a day. I see my friends pain, I know my IP’s have this pain. Their pain, their grief is so deep. And we’re so close. I pray multiple times a day for them to be comforted and filled with peace. They’ve, more than likely, waited SO LONG. and now, we’re maybe months away from meeting each other. Their baby is so close. Is that weird? My heart is so open. So ready for them. I want everyone to know this wasn’t a venture I entered into lightly. That day on the phone with J was 11 years ago. And that wasn’t the first time I had thought about it. This has always been a part of me. A part of my heart. I’ve prayed a lot. I KNOW in my heart of hearts that it’s MY time. That my IP’s are so close. I can feel it. This baby (or babies!!) is ready. And waiting. How can I deny them that? Do you remember holding your baby for the first time? I can’t wait to see them hold their baby for the first time. That feeling. I can’t wait to witness it. THEIR baby. Don’t ever forget that. THEIR baby. Will I get attached? If you were with someone 24 hours a day for 10 months, wouldn’t you? Absolutely I expect to get attached. But could you even imagine reuniting that person with their family after that long apart? The tears if joy you’d shed for them? I can’t wait to reunite them. To make their family whole. 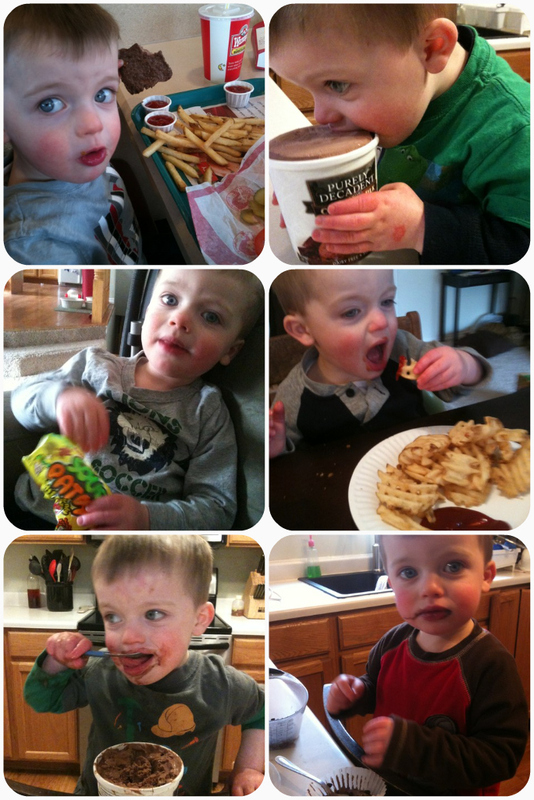 Do you ever get in a junk food rut WITH YOUR KIDS??? Miles eats SOOOO healthy. 95% of the time. He can’t eat: Dairy, Eggs, Soy, Peanuts, Rice, Oats, Turkey or Chicken. All fruits and veggies, most pastas, one type of bread, beef, pork and tuna. He has NEVER tried something he doesn’t like. I’M SERIOUS! This kid will eat anything!!! 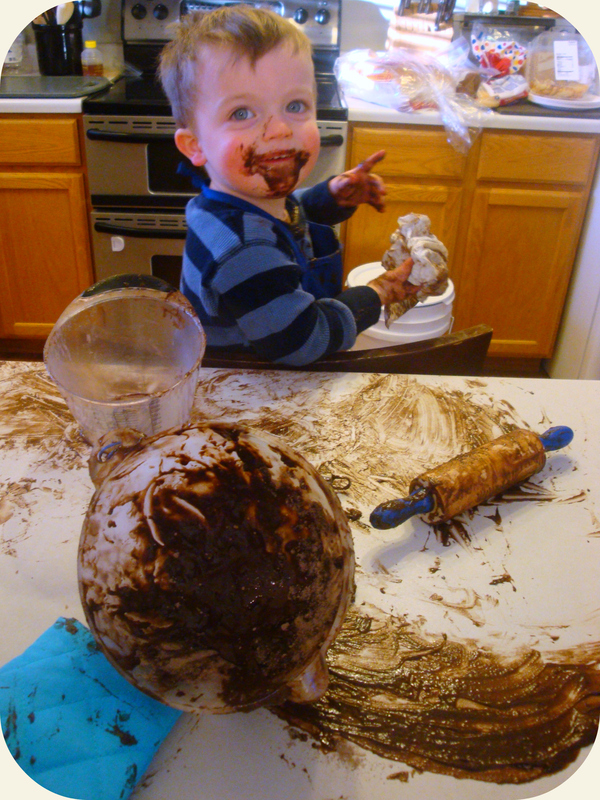 I have ALWAYS made all of his baby food. He has NEVER had a jar of baby food. I prided myself in this.. until recently. We’re in this rut. He’s been eating like crap lately. Sugar, candy, dye, processed food, fast food… ugh! Then we start the day out with a pop tart, followed by a package of smarties, followed by some potato chips, followed by hot dogs and onion rings for lunch, followed by a chocolate cupcake, followed by 3 spoon fulls of frosting, followed by … Do you see my point?? It’s never ending, allll dayyyy longggg. I honestly don’t see it effecting his attitude, and he’s still sleeping great. But when he would gladly choose broccoli and raw onion over ice cream, why am I doing this to him???? So we NEED to be more diligent. I WANT to be more diligent. but .. ugh! It was a Wednesday. (but the day if the week doesn’t matter) everyday of high school was the same. Get to school, drop off everything in our lockers and head out to breakfast. Today started like every other day. We went to breakfast then headed up the canyon to go four wheeling. Today it was just the two of us. My feet sat on the rusty floor board of his old Ford Bronco. It felt like home. I smiled knowing this I’d where I belonged. Next to him. At 10am on a Wednesday morning. We turned the corner into the muddy part of the side road we were on. He gunned it. We went splashing and slopping down the bumpy, oh so bumpy “road.” I grabbed the bar above the glove compartment and laughed. He always knew how to scare me just to the brink of tears then back off. I was never really scared. I trusted him with my everything. We were getting to my favorite part of the canyon when suddenly the Tim McGraw song “Something Like That” came on the radio. He looked over at me and smiled. That smile always melted me. The look we shared was epic. He turned it up. LOUD. We sang at the top if our lungs. We smiled, laughed and couldn’t stop that special smile we shared. Forever ingrained in my head. That moment, that smile, that boy. By the chorus it hit me like a ton of bricks. love. He was all I needed. That smile confirmed it. He was my everything through everyday of high school. My best friend. We never went a day without talking. We spent so much time together. Nothing ever went past best friend status. My phone rings on the way home from my boyfriends grandmas house. We’re in rush hour traffic, perfect time to talk to my best friend. I answer SO excited to talk to him. His tone is serious, too serious. “I need to talk to you,” he squeaks out. “Oh my gosh, YES! anything I’m here for you, you know that.” I assure him.I look over at my boyfriend with a worried look on my face. He mouth ‘what?’ and I shrug my shoulders but I can feel my heart beating faster. “Sure you can. You can tell me anything. You know I”ll always love you” I’m assuring him, feeling terrified in my heart and trying to figure out what could be wrong. The tension is so tight you almost couldn’t see through it. “I can’t say it to you.” he tells me. I went on and on, he just kept answering no and asked me to keep guessing. Saying over and over again that he just can’t tell me. “it’s going to kill me to tell you.” he said. I look over at my boyfriend who can hear everything going on. He can tell I’m upset. My eyes are filling quickly and about to overflow with tears. I give him the worst look and actually shout NO! J could hear him saying something and asks what that was about. I tell him, “nothing”. But he insists. He’s silent. More than silent. When my parents called to say they were thinking of moving to Utah, my mind starting reeling. “What if we got one big house and all lived in it. We could each have one floor and our ‘separate houses.’ doesn’t that sound fun?” I’d try to convince my parents, almost daily. I would dream about it. We were busting at the seams of our firstlittle house. My parents already missed so much of their only grandsons life. It would be PERFECT. right? Our dreams quickly became a reality, that just as quickly became a nightmare. We found the PERFECT house. (actually 1 of 2 perfect houses, but we chose this one.) We found a wonderful tenant for our home and prepared to move in. My parents prepared to leave their home and searched for jobs in Utah. The day we moved in and my parents left California. I lost my job. We were now 4 adults, 1 toddler, 3 dogs and 2 kittens moving into a brand new home with NO INCOME. No jobs between any of us. It took the breath out of me. For some reason, I was the only one concerned. Needless to say, we survived. We are all SO blessed. My parents found fantastic jobs quickly and we (Aaron and I) are doing okay also. We all live cohesively. My parents (their dogs and cats) live down stairs. They have the perfect area that fits them so well. A little basket on the wall at the top of the stairs for their mail. And a sign that hangs over the stairs that reads “If Grandma says no, ask Grandpa.” they joke about adding an address to say 1/2. Miles refers to it as “Going to Papa’s house whenever he wants to go downstairs. He doesn’t know any different. Probably never will. We have the perfect area upstairs just for us. But most of all. We are a village. And this village raises a 2 year old. It takes all 4 adults most days. And even then, sometimes we barely survive. Sometimes I crawl into bed at night, breath a HUGE sigh of relief and think “How??? 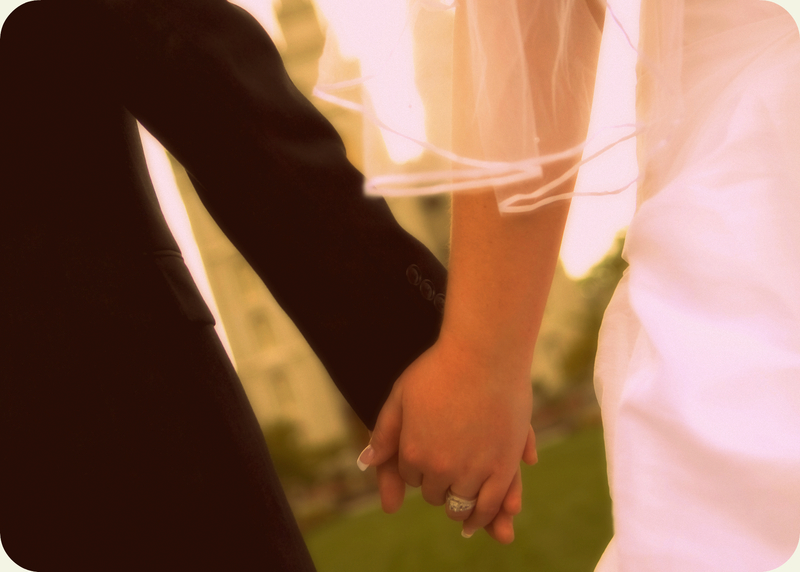 How in the world would we do this alone?” what if it were just my husband and I? I can. Not. Even. Imagine. This child takes a village, and I am so so happy we happen to have one under our roof. It may not be the ideal situation for everyone, but it’s our situation and I’m so glad it is.